In his provocative new book, evolutionary biologist Jerry A. Coyne lays out in clear, dispassionate detail why the toolkit of science, based on reason and empirical study, is reliable, while that of religion-including faith, dogma, and revelation-leads to incorrect, untestable, or conflicting conclusions. 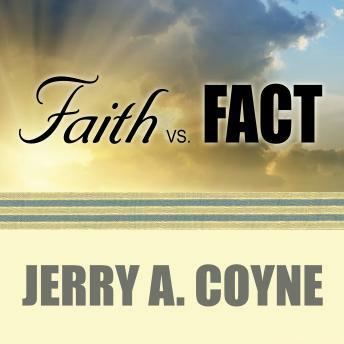 Coyne is responding to a national climate in which over half of Americans don't believe in evolution (and congressmen deny global warming), and warns that religious prejudices and strictures in politics, education, medicine, and social policy are on the rise. Extending the bestselling works of Richard Dawkins, Daniel Dennett, and Christopher Hitchens, he demolishes the claims of religion to provide verifiable 'truth' by subjecting those claims to the same tests we use to establish truth in science. Coyne irrefutably demonstrates the grave harm-to individuals and to our planet-in mistaking faith for fact in making the most important decisions about the world we live in.